From Alexander Graham Bell, to Tayberries and Unicorns; Scotland is a northern European country filled with remarkable history and breathtaking scenery. Here are the Top 10 Interesting facts about Scotland. The National Museum of Scotland, Edinburgh Castle and the Scottish National Gallery have been named among the most visited attractions in the UK. They were listed 15, 16 and 18 respectively on the list published by the Association of Leading Visitor Attractions (ALVA). The 10 most popular sites in the UK during 2016 were all in London. 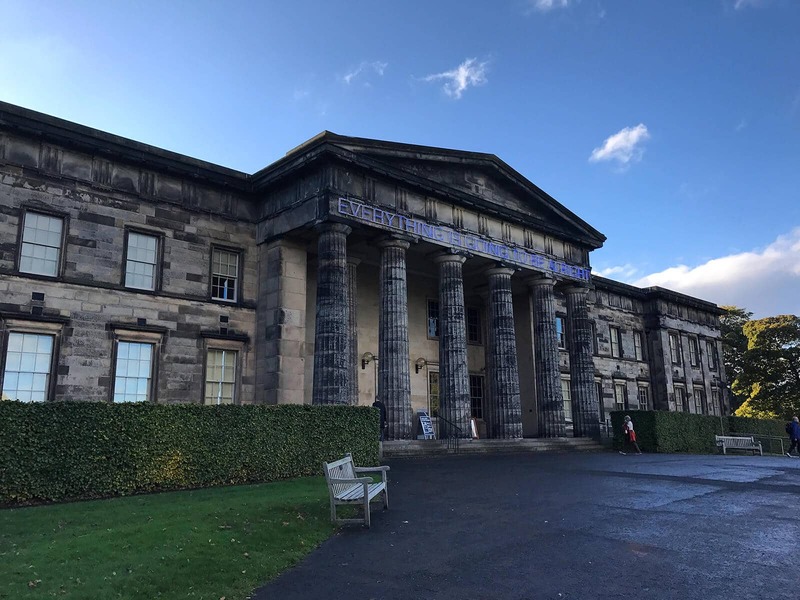 The most popular attraction north of the border, and the 15th most visited in the UK, was the National Museum of Scotland in Edinburgh, which opened 10 new galleries in 2016. Some 1.8million visitors passed through its doors last year. “Like the 2015 figures, Scotland has continued to outperform the rest of the UK with a substantial increase in their visitor numbers. “As these figures illustrate, this has been a record year for Scotland’s leading visitor attractions”. St Kilda is an isolated cluster of volcanic islands that lie 40 miles to the west of the main island chain. 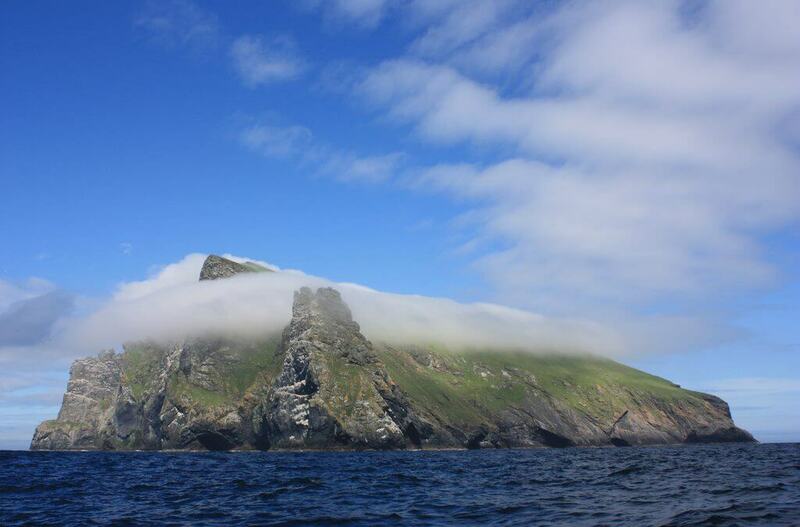 With the highest sea cliffs in Britain, St Kilda is the most important sea bird breeding station in north west Europe. 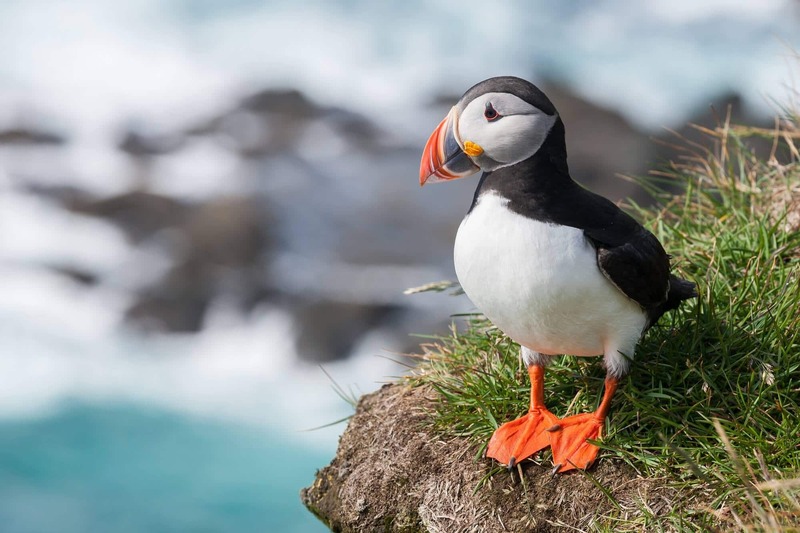 This dual World Heritage Site has the largest colony of guillemots in the world, the oldest and largest colony of fulmars, the biggest colony of puffins in Britain and over one million birds in total. 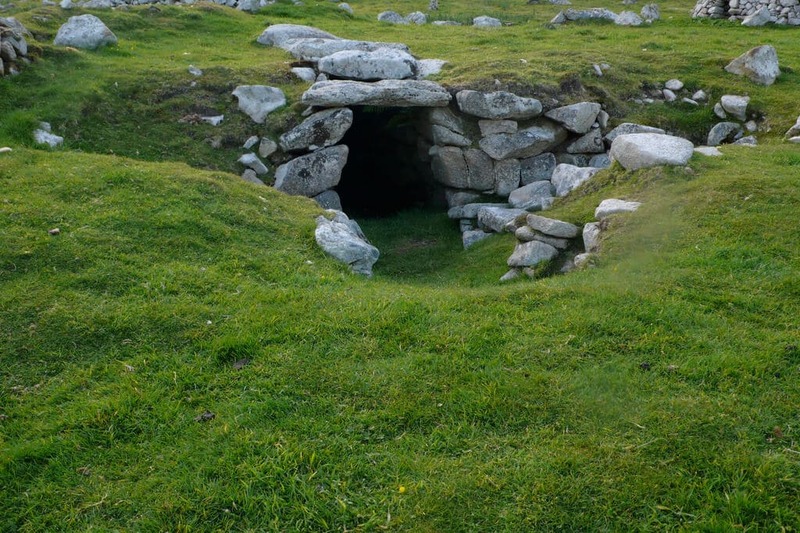 St Kilda also has one of the most extensive groups of vernacular building remains in Britain. The layout of a 19th-century village remains to this day, and over 1,400 stone-built cleitean (used for storing food and fuel) are scattered all over the islands, and even on sea stacks. St Kilda is one of the best places in Britain for diving because of its clear water and its submerged caves, tunnels and arches. 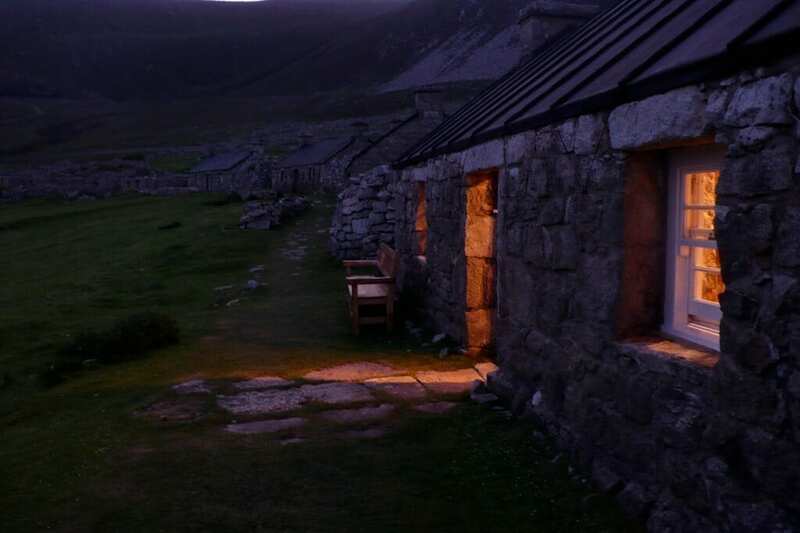 Owned by the National Trust for Scotland, St Kilda was once populated by the unique and hardy Kildians, who, due to poverty and starvation, were forced to leave the islands in the last century. 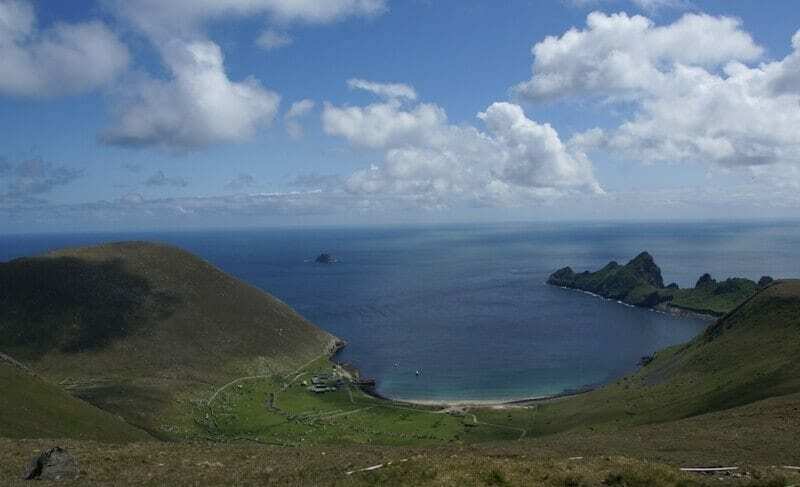 There is an abandoned village on the island you can visit where the houses are still relatively intact and lots of stories and folklore about life on St Kilda has been preserved. St Kilda is also a National Nature reserve due to its importance for seabirds. Probably the least well known of this list, but he was the one who invented the first working television system. He was born in 1888 in the town of Helensburgh, which is about 22 miles north-west from Glasgow, as the 4th son of a minister from the Church of Scotland. He attended the University of Strathclyde, but he interrupted his degree, which he never finished, because of the First World War. After being rejected by the Army for being unfit, he started working as an engineer and business man. 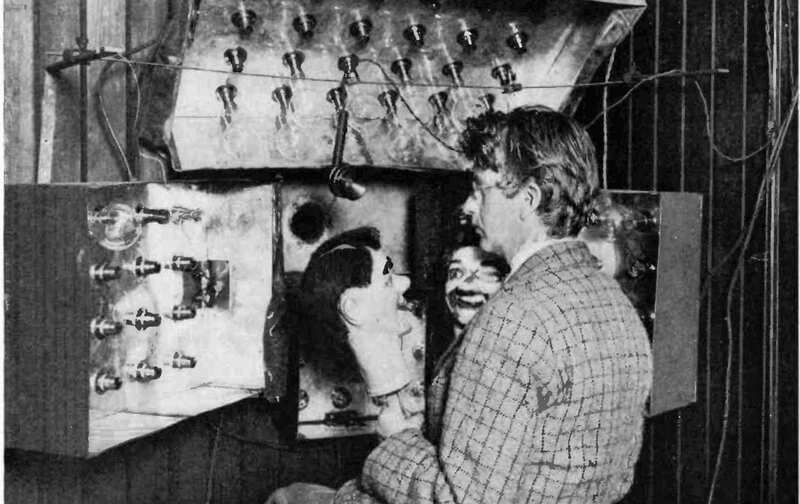 He moved then to the south of England and set himself the goal of creating a television, an a feat in which many scientists before him had failed. Finally, in 1924 he managed to transmit moving images, and in 1926 he made the first presentation before 50 scientists. The television was invented! If you are into economics, you must have heard the name of Adam Smith, considered by many to be the father of modern economics. He was born in 1723 in Kirkcaldy, a town north of Edinburgh, and at the age of 14, he attended the University of Glasgow. Contrary to what many people think, he never studied economics, but moral philosophy, thus he was one of the key figures in Scottish Enlightenment. Nowadays he is not known for writing about philosophy but for his book “The Wealth of Nations”, where he developed the idea of the modern free market, the division of labour and the “invisible hand”. The man who patented the telephone was also Scottish-born, though he spent most of his life in the USA. He was born in Edinburgh in 1847 but moved to Canada in 1870, and, a few years later, to the USA. He dedicated his life to teaching at university and working with deaf people to improve their lives doing research. His research came to life due to his fascination with the idea of transmitting speech, and by 1875 he found a way to turn electricity into sound. One year later he was granted with the patent for the first telephone. The last one of this list, but this doesn’t mean he’s the less important. The man who discovered penicillin, ranked by 3 Swedish magazines as the most important discovery of the last millennium, and which has helped to save millions of lives. Fleming was born in the county of Ayrshire, in the south-west of Scotland, in 1881, but moved to London at the age of 13. There he obtained a degree in Bacteriology, and began researching in St Mary’s Hospital Medical School. The discovery of penicillin was in 1928 and it happened by chance: while studying Influenza he noticed that mould had developed accidentally on a set of culture dishes being used to grow the staphylococci germ. The mould had created a bacteria-free circle around itself. In 1945 he shared the Nobel Price of medicine with Howard Florey and Ernst Boris Chain for the discovery and transformation into medicine of penicilin. Did you know that Edinburgh is the adopted home of J K Rowling? She wrote a most of her spell-binding stories in the capital and today you can go to the cafés where she was often seen with notebook and pen in hand – Nicholsons and the Elephant House. You can even visit the 5 star Balmoral Hotel where she finished writing Harry Potter and “The Deathly Hallows” in 2007. 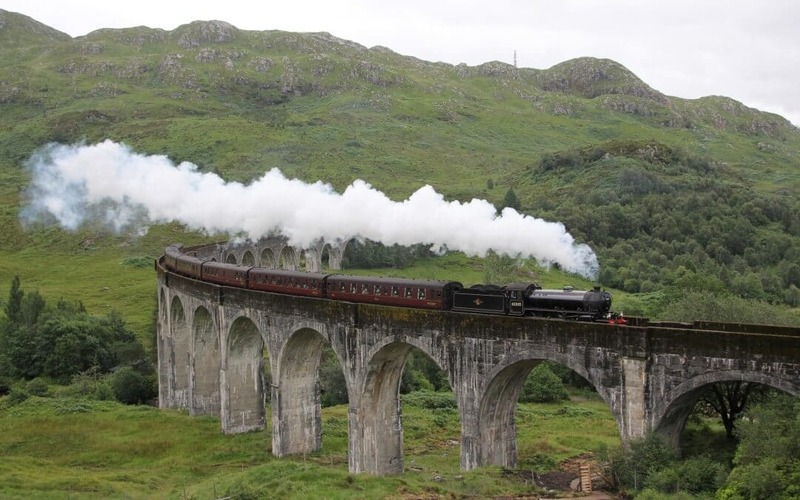 The steam train north, crossing over the famous Glenfinnan Viaduct where the Ford Anglia flew overhead in “The Chamber of Secrets”. 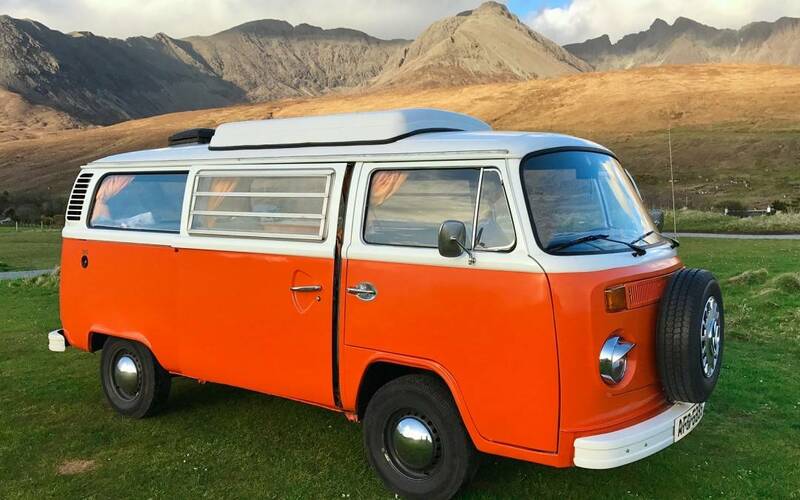 We found a great video on YouTube from 4 backpackers who drove through Scotland to discover the Hogwarts location used in the Harry Potter film.